The hacker and pen-tester, who goes by the handle "SexyCyborg", showcases the heels she dubs Wu Ying shoes, named after the famed "shadowless kick" that Chinese folk hero Wong Fei Hung used to distract opponents. "With my shadowless shoes I distract the target with my upper body and they don’t see the real danger on my feet," she writes. 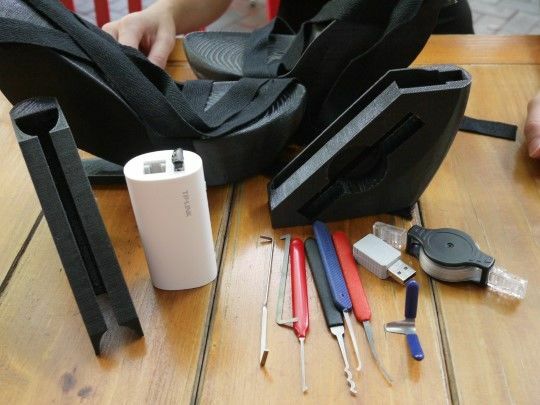 "Each shoe has a drawer that can be slid out without my having to take the shoes off [which] can be customised for various payloads. SexyCyborg says "... my right shoe contains a pen testing drop box which is a wireless router running OpenWRT with a built in rechargeable battery that could either be left running inside the shoe (for war-walking, wifi sniffing and logging) or could be removed and plugged into a convenient open network jack [gaining] gain remote access anytime via SSH tunnel." A tiny router hidden within. Her skimpy outfit (NSFW 3D printing gallery) is also a tactical decision: "My typical clothing does not leave room to hide anything, but that’s all the more reason they would not be suspicious of me," she says. "Wispi and pen-test drop boxes should of course should only be experimented with at home for educational purposes; while it’s good to know about this stuff, always obey your local laws," she says. Hackers can "go all out" and run Kali and or PwnPi on a Raspberry Pi but the pen tester warns the shoes may start to get heavy. 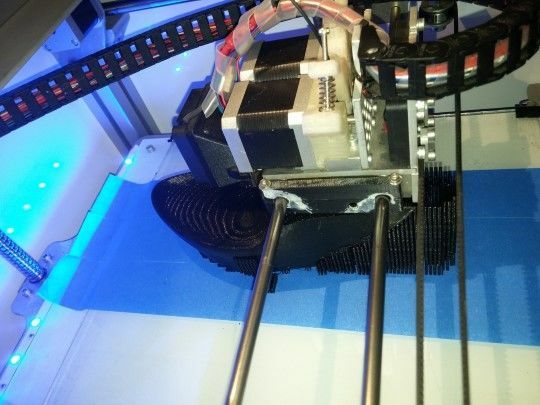 The 3D printer in action.